Yesterday was actually a passable day for a March baseball game in the Northeast. 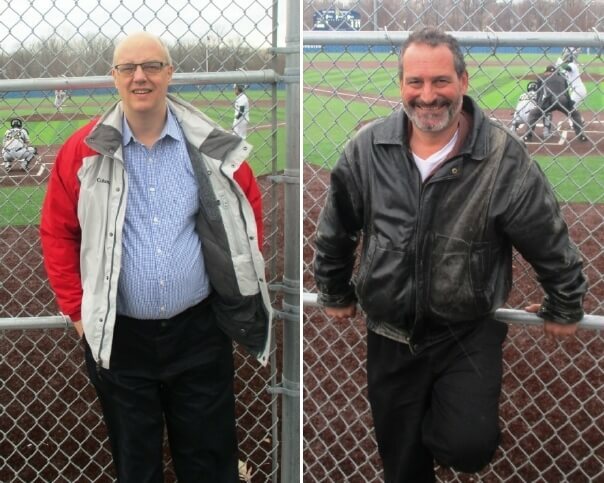 We did have the usual weather suspects for early Spring in Rochester — overcast skies, sporadic rain, wind gusts — but the temperature was pleasant in the low 60s. No frosty breaths or cupped hands in pockets. 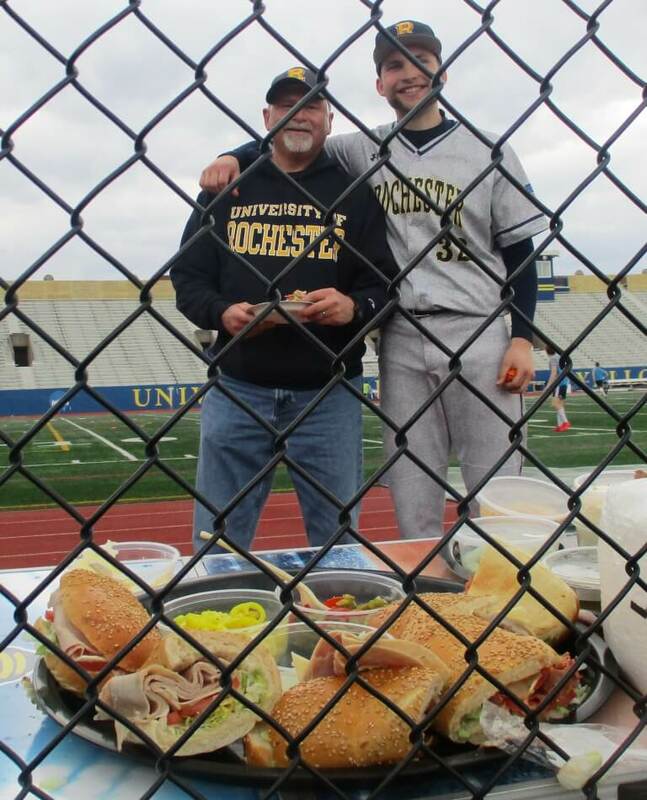 In fact, yesterday there were two games at the University of Rochester’s Towers Field. 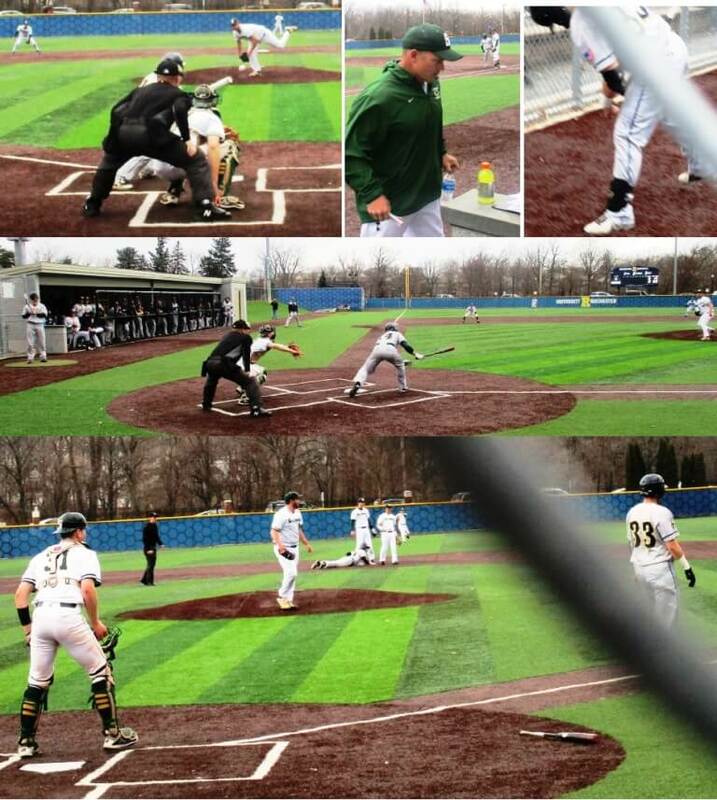 The UR Yellowjackets swept the Skidmore Thoroughbreds 6-0 and 15 – 11 in a double header. 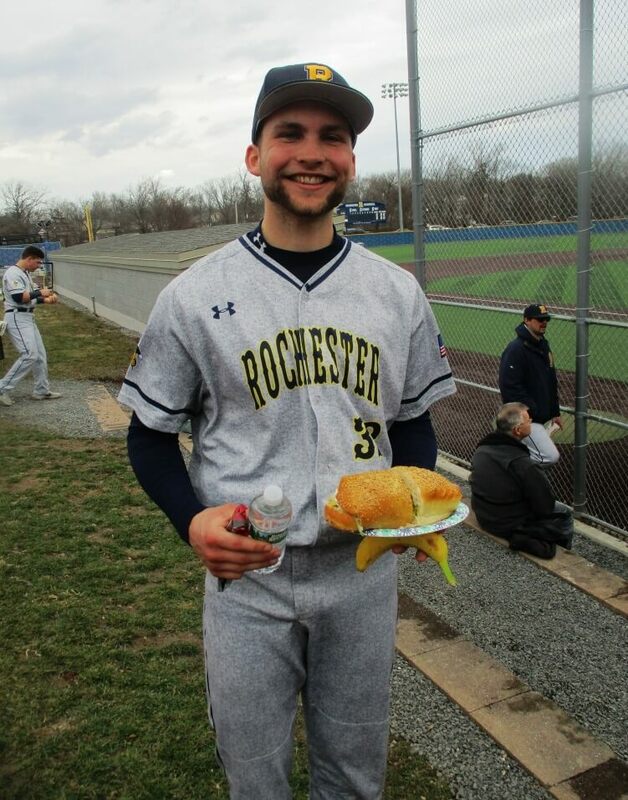 In the opener, junior Garrett Renslow pitched his first career shutout, blanking the Thoroughbreds in a seven inning game. Garrett Renslow’s father Rob. Rob follows the career of John Ghyzel on stat-tracker. 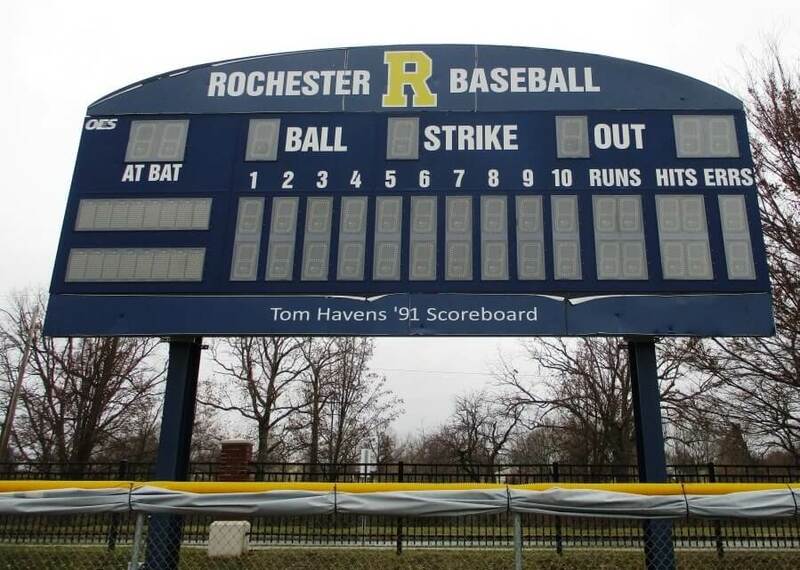 As seen in The University of Rochester’s John Ghyzel follows in the footsteps of Tom Havens ’91 (Madison Muskies, 1992), the last time I was at Towers Field was January when researching two of UR’s best players, Tom Havens ’91 and John Ghyzel, currently pitching in the minor leagues with a solid chance to become the first Yellowjacket to make the majors. John has not been forgotten. Garrett was a freshman during John’s junior year, so successful that the Cincinnati Reds drafted John. In addition to John’s high velocity fastball, Garrett remembers how John carried himself, an on field presence far advanced beyond his age. Even when lacking his best stuff, John elevated the play of his teammates who realized they were part of something very special. Maybe that demeanor prompted the Reds to draft a Division III player with much more limited experience than his peers at bigger schools or in the south. Rob Renslow (left) and Garrett Renslow. Below, the spread. Yesterday the games did not attract as many students lounging of the slopes above the field as would a bright sunny day. Usually, most fans are family and friends of the players and coaches. Skidmore brought a sizable contingent from Saratoga. 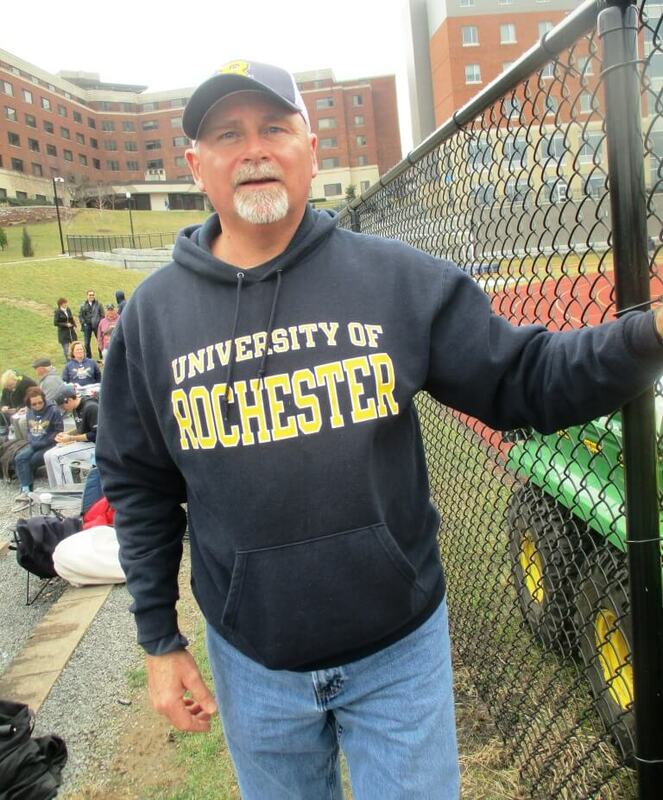 Rob Renslow is one of many Yellowjacket fans who travel alongside the team. This season, Rob and the team road tripped to San Antonio, a welcome break from playing in snow flurries. Perhaps the most anticipated part of the afternoon is the spread served between games: clubs, condiments and chips. With touches of rain and wind sweeping the stands, the twenty minute wait is much more palatable when devouring the sandwiches — ensuring Skidmore fans that the trip from Saratoga was worthwhile. 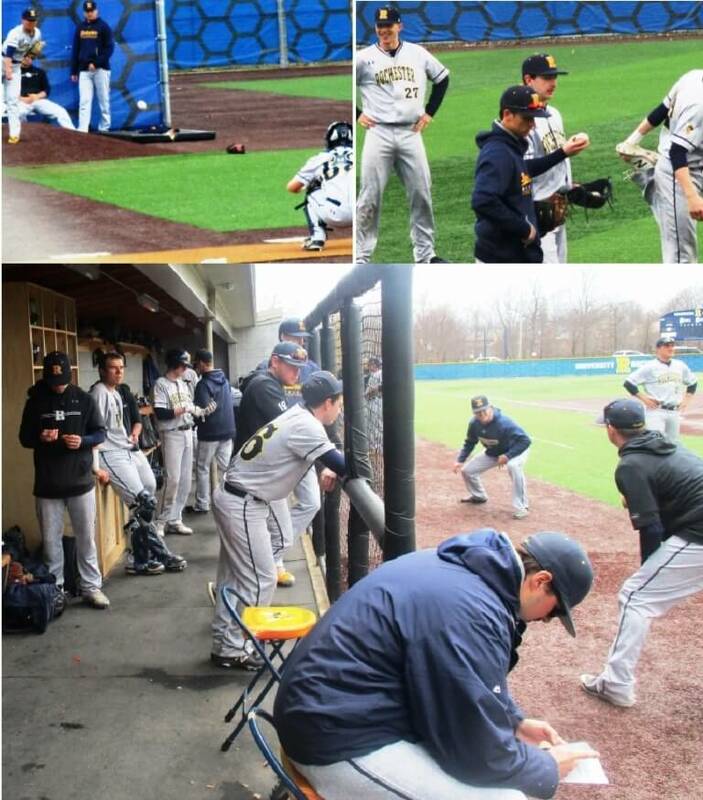 The Yellowjackets staying loose and warming up between games. 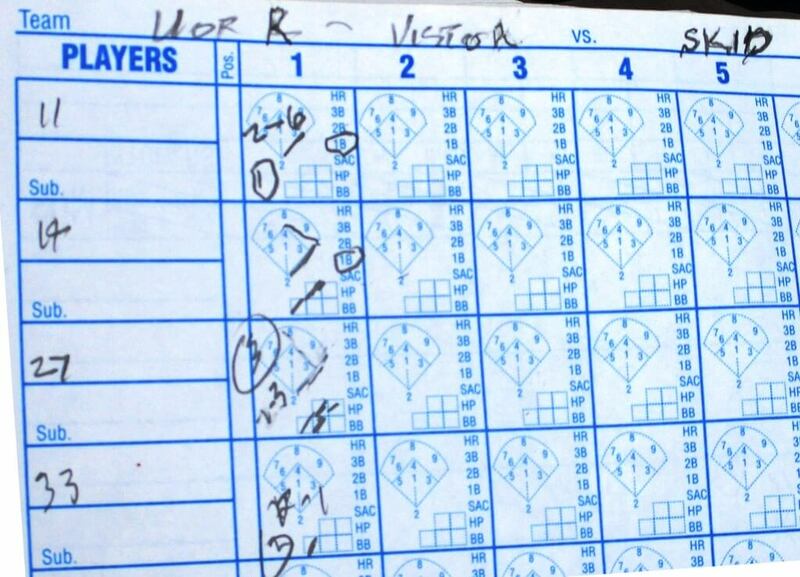 The second game scorebook of a Skidmore Thoroughbred fan. We stayed for the first inning. The first batter bunted for a hit but was thrown out stealing. I didn’t get a good look at the play, automatically waiting for a tv replay which, of course, did not happen. The next man reached on an infield single. Then — perhaps due to the slippery artificial turf — the right fielder bobbled a shallow fly. 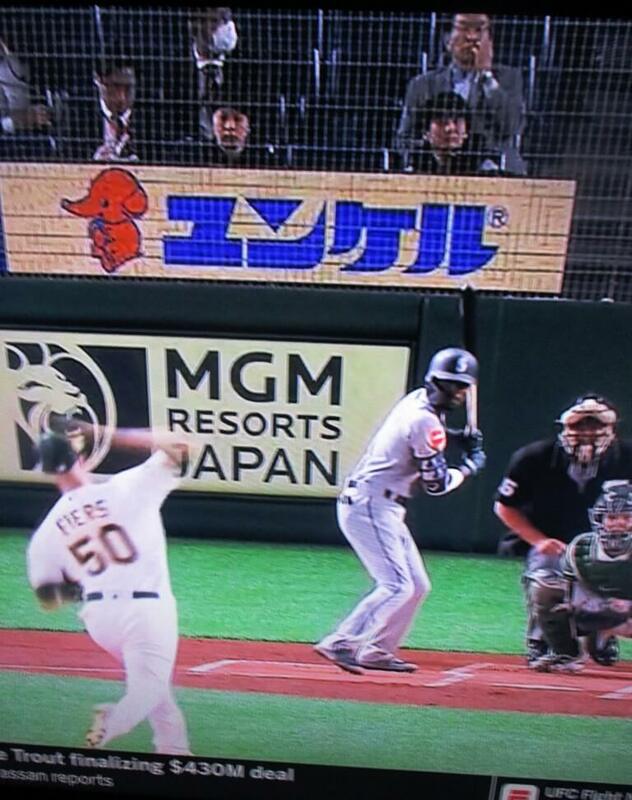 The cleanup hitter lined one over the middle, stabbed by the pitcher, almost knocking him down. The pitcher looked to second, then realized he had an easy throw to first for the double play. The wait is over. Adding '69 to the Series.